Kochi is a a growing metro city in the state of Kerala in India. 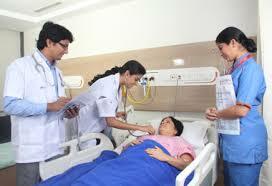 There are many multispeciality hospitals and heathcare institutions in Kochi. Listed below are the major Hospitals in Kochi , Ernakulam. For more details about the facilities and services related to each hospitals , please visit the hospital website given against each hospitals in the list. Also known as Amrita Ernakulam / AIIMS Kochi / AIIMS Ernakulam / AIIMS Edapally / Amrita hospital / Amrita Ernakulam / Amrita Kochi is a multi-speciality hospital run by Matha Amrithanandamayi trust. Also known as Sunrise Kakkanad / Sunrise Kochi / Sunrise Ernakulam / Sunrise Thrikkakkara is a super specialty hospital located in Thrikkakkara, kakkanad Ernakulam. Also known as Lisie Hospital, Lisie Hospital Kochi, Lisie Hospital Ernakulam, Lisie Hospital Kacherippady / Ernakulam Lisie is a famous hospital in Ernakulam run by Archdiocese of Ernakulam-Angamaly . Also known as Renai Medicity Hospital Kochi / Renai Kochi / Renai hospital Palarivattom / Renai hospital Mamangalam / Renai Hospital ernakulam / Renai Elamakkara is multi-specialty hospital run by polakkulath group. Also known as Rajagiri Aluva / Rajagiri hospital ernakulam / Rajagiri kochi is a super specialty hospital run by CMI ( Carmelites of Mary Immaculate ) fathers. VPS Lakeshore also known as is a Lakeshore ernakulam / Lakeshore kochi is a multi super-speciality Hospital in Kochi, Kerala. Also known as MAJ / MAJ Edapally / MAJ Kochi / MAJ ernakulam / MAJ hospital is s 300 beded multi specialty hospital with various specialty departments. It is a unit of St George Forane church Edapally. Commonly known as Lourde Hospital / Lourde / Lourde Pachalam / Lourde hospital vaduthala is a multi super specialty hospital in ernakulam administered by Archdiocese of Verapoly. Emergency : 0484 412 3000. Consultation appointment: 0484 412 1201 / 1205. Complaint register : 0484 412 1101 / 1900. Also known as Aster hospital / Aster Medcity / Aster Medical centre / Aster medcity Kothad / Aster hospital Kochi / Aster Ernakulam is a multy specialty hospital located in Kothad, ernakulam which is administered by Aster foundation. Cheranelloor, Kochi - 682027, Kerala, India..
PVS Hospital commonly known as PVS Hospital/ PVS Kochi / PVS Kaloor / PVS Ernakulam is a super-speciality hospital based in kaloor Kochi/Cochin. Order Of Discalced Carmelites ) Fathers .